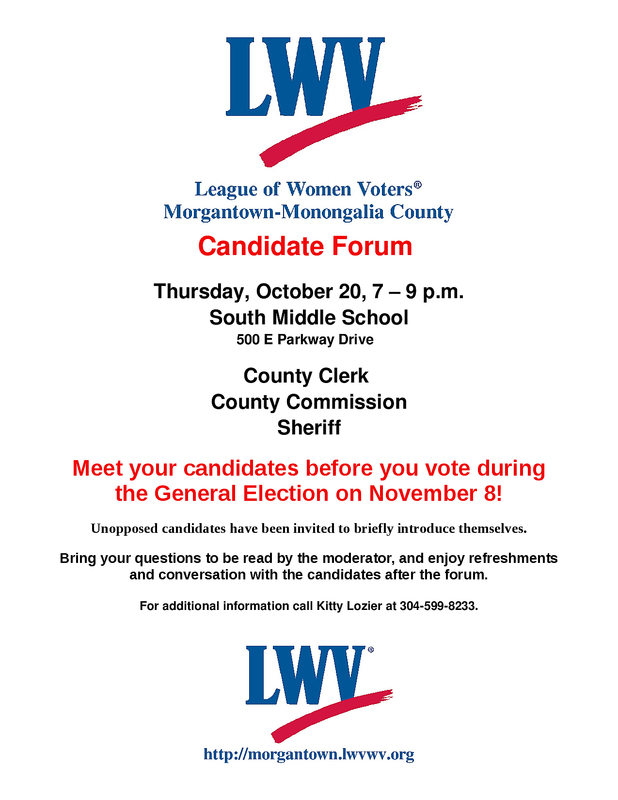 The League of Women Voters of Morgantown-Monongalia County is hosting two forums in October. 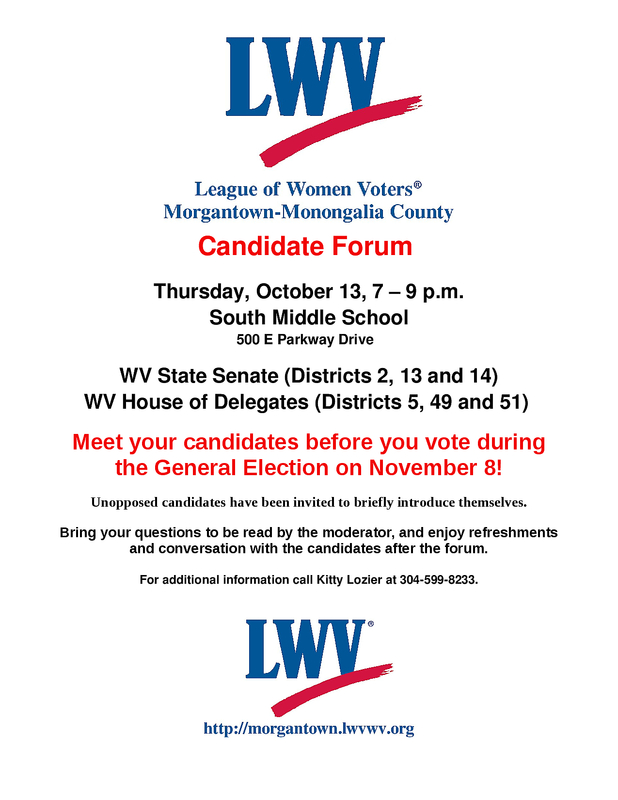 The first on Thursday, October 13 is a candidate forum for candidates running for WV State Senate (Districts 2, 13 and 14) and WV House of Delegates (Districts 5, 49 and 51) will be held at South Middle School from 7 to 9 pm. 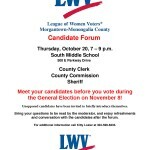 On Thursday, October 20, a candidate forum for candidates running for County Clerk, County Commission and Sheriff will be held at South Middle School from 7 to 9 pm. The public is encouraged to come and ask questions and inform themselves before the election on November 8. 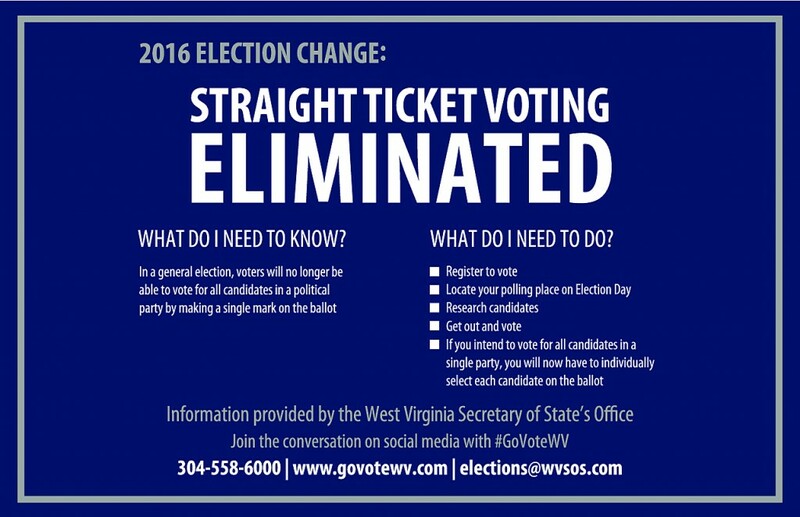 During last year’s WV legislative session, a change was made to WV Code eliminating the option of voting a straight party ticket in the General Election (§3-6-2 (g)). Please help us get the word out about this important update as we approach the 2016 General Election. Attached is a flyer that helps explain the changes (in both color and black & white). You can feel free to share this flyer digitally or print for your office. You can also share a link to the version on our website. 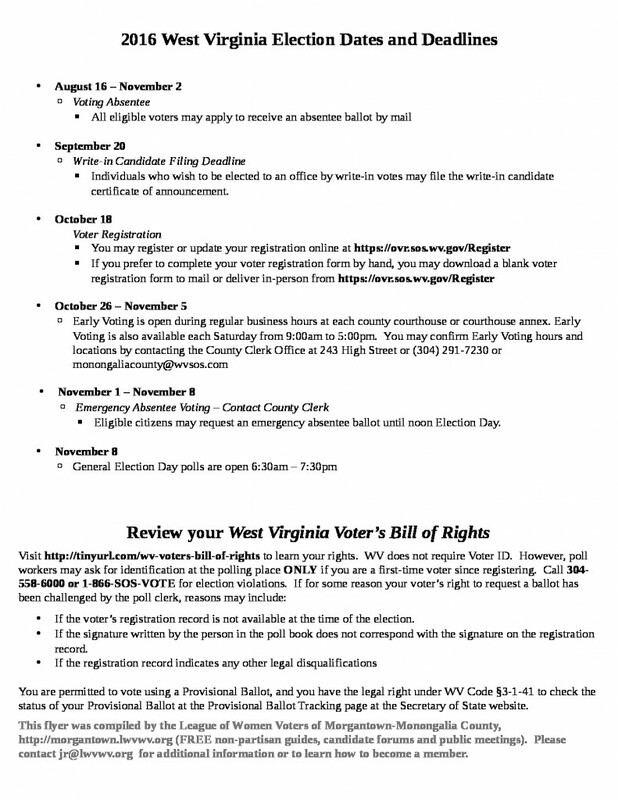 Or, you may request print copies of the flyer – provided on a first-come, first-served basis – by emailing elections@wvsos.com. As always, you can let the Secretary of State’s Elections Division know if you have any questions at elections@wvsos.com or 304-558-6000. League members to attend documentary “To Begin the World Over Again: The Life of Thomas Paine” on September 26 at 6 p.m. at the Vienna Public Library. 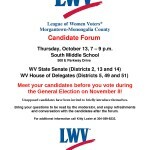 Meet the Candidate events in October for Wood County, Parkersburg, Vienna, and WV Legislature offices. See details in the September Voter.